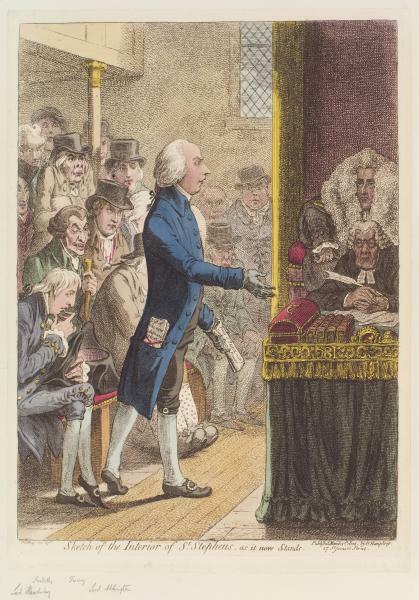 hand-coloured etching, published 1 March 1802, by James Gillray, published by Hannah Humphrey. National Portrait Gallery, London, NPG D12781. 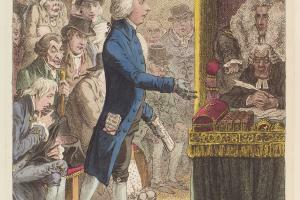 MP for Devizes, 1784-1805; Speaker of House of Commons 8 June 1789-10 Feb. 1801; first lord of the Treasury and chancellor of Exchequer 14 Mar. 1801-10 May 1804. ADDINGTON, Henry (1757-1844), of Mortimer, Berks. ADDINGTON, Henry (1757-1844), of Woodley, nr. Reading, Berks. and White Lodge, Richmond Park, Surr.